I believe that Delta Express was cancelled when Delta introduced Song. Now all of their 737-200's are mainline. Actually just my opinion but I think Delta should get rid of the old 737-200's and purchase/lease B-737-700's. As they are a far superior aircraft to the old 200's. But then again I think that Delta should be the launch customer for the 7E7.....bah. Yes the 737-800's totally rock. But my favorite NG 737is without a doubt the 737-900. I see them in PHX. in CO paint often and like last year sometime when I was in SLC a friend of mine who works there for Continental gave myself and Corrie a tour of a 900 parked at the gate. All I can say about the plane is wow. It'd be really nice to see a 737-900 in Delta paint as well. -200 has the torpedo looking, screaming engines. The -700, -800, and -900 are the newest ones, hence they are 737NG (next generation). The -500 I THINK might be in the category, but it looks like a -200 with the newer engines. The 737-500 is a "classic" series 737. The Next Gen 737's start with the 600 series and go all the way up to the 900. The real big difference between the "classic series 737" 100-500 series and the NG series 600-900 is that the NG series have updated avionics, larger, rounder more powerful CFM engines. Not to mention the updated cockpit complete with either 6-8 large LCD EFIS panels. And an updated passenger cabin reminesant of the 777 with larger over head bins and the such. All together the new 737's are great but I think that with the new NG's they (Boeing) have done all they can to eek more life outa that 70's airframe. So they should serious start considering a replacement to the a 737 in the next 10 yrs. or so. Im sure the big reason they have them flying is not that the -200 is better, but the fact that its paid for! Yep. Who can afford new planes right now? Not very many. Even if Delta puts in orders for new planes right now and something unexpected happens to the industry before they take delivery...what a mess that'd be. I would really like to see it in AA colors. [/ QUOTE ] Didn't see that coming. 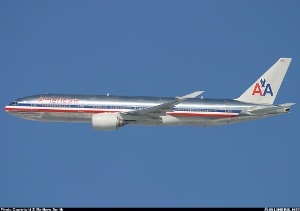 Ummmmm yeah AA has no real colors/livery. Well I'm quite sure that is the only reason that they are in fact still flying. But those old JT9D engines are old and loud and not all all fuel effiecent even with the hush kits on them. I expected Delta to retire the 737-200's along with the 727 for the very same reason. Or at least to have Comair or ASA pick up the routes that might be normally serviced by the 737-200 as CRJ's are more fuel efficent then the old 200 workhorses. In the end I believe the 737-200 to be more of a liability then an asset to a modern fleet with high ratio bypass turbofans not to mention passenger comfort. Umm, yea, what about the colors of America??? Hence the name, American Airlines. Okay to clarify what I meant is that the majoirty of there plane is polished aluminum with 3 mere stripes of RED,WHITE &amp; BLUE. From front to back....(yawn). Since when did two elephants wieght worth of paint make an airplane look good? I agree with that, the paint does not make the plane..American has a very good and simple livery, it makes good business sense...Just ask the management at TWA..Beautiful scheme, but not too much help in the budget..I am not sure, but I believe that AA has had only two schemes since their existance...Could that be right?? ?